It’s very straightforward to become a member and you can do it online here. You pay for your first month (or block of months) now. When we have received your payment we will write to you to organise your induction. When you come in for your induction you will sign your contract and induction form. If you are paying monthly, you will give us your card details for a recurring monthly payment. Then you are shown around the studio and given your own shelf. That’s it! When are member inductions held and what do they cover? Membership inductions are usually held daily (except Mondays) at 2.00pm or 5.30pm. But you need to sign up first and organise when to come via email so we are ready for you. We will be in touch to set your induction up as soon as we receive your payment. Member inductions cover our fire and health and safety procedures, and all aspects of how to use the studio. You will also receive a member handbook with all the important information in it. What are the entry requirements for membership? Turning Earth is an inclusive community and we welcome people of all levels of experience. All we ask is that you know how to use the studio safely, without damaging our equipment or anyone else’s work, and that you follow all of our procedures. Having attended a short introductory course at any studio is enough for us. If you are a total beginner then you can begin as a member, but you will need a few hours of private tuition from one of our tutors before you set off on your own. How do I organise private tuition and what does it cost? Most of our staff members are available to teach you privately. Their rate is £20 an hour, which is significantly discounted because your monthly membership fee covers our overheads (this compares to a market rate of £30 for private tuition elsewhere). Please note this service is ONLY available for studio members. To sign up for tuition you can contact teachers and technicians through this site or organise it with tutors directly when you see them in the studio. Please note that Turning Earth staff can only teach you privately when they are not on duty as a studio technician/teacher, as when they are working officially in the studio they need to be available to help everyone. Do I receive instruction as a member? There are always technicians on hand to answer simple questions and give advice. You are not alone. However, if you want to learn a new process, or have someone sit with you and give you instruction, then you can ask for private tuition. Private tuition is organised directly with ‘off-duty’ staff members, at the price of £20 an hour. You can read more about our technicians and teachers and their specialties on our team page. Do I need to bring anything with me? What’s provided? You don’t need to bring anything. We have basic tools and aprons here, and we have throwing tool kits available for £5 if you want to have your own. We encourage you to bring your own apron and tools though. Aprons need to be cleaned after every use to prevent you from breathing dry ceramic dust, so it’s best that you have your own and take it home. How many hours a week can I come? Do my membership hours carry over? Members can come in for a maximum of 15 hours a week. Hours don’t carry over, because this would make the system less stable and create congestion in the studio. Studio membership is for part-time potters and we have an hours limit to make sure we can accommodate everyone. The majority of people come between three and seven hours a week, although there are a minority who you will see in the studio more regularly. The maximum use each week is 15 hours but this is not a ‘recommended dose’. Does Turning Earth do discounts or can I share my membership with someone else? You cannot share your membership with another person. Studio membership is about more than having a shelf or how many hours you come in. You are sharing the overall costs that make the studio possible - from rent and rates, to the staffing costs that keep everything running. We don’t offer discounts as our aim is to keep the price as low as possible for everyone by sharing the costs evenly. We are not in a position to make assessments of people’s income to make adjustments in a way that we would consider to be fair. All Turning Earth members can bring any guest to the studio (one visit per guest) for up to two hours. The member must be responsible for their conduct at all times and note their attendance in the sign-in book. Does Turning Earth do drop ins or taster sessions? I am having a party, can we do it at Turning Earth? We are not currently set up to do parties at Turning Earth. We can, however send a potter with some clay over to your house to run a session for you. Prices for this vary, but for example, a class for two and a half hours for up to 10 people costs £300, including glazing and firing. The only additional expense is for a taxi from the studio with the tutor and the clay, and one back to the studio with the pieces ready to go into our kiln. You will also need to be able to come and pick up the fired work three to four weeks later. Contact us at info@turningearthceramics.co.uk if you would like to organise this. How do I get onto a Turning Earth course? When courses are available they will be listed on the class page. You can sign up for a course in the same page. Please note, there is currently very high demand for classes and some may sell-out very rapidly once they've gone live. Can students in Turning Earth classes come in at other times? Class students use the studio only at set times during their course. More flexible access is part of membership. If you want to use the studio at other times we recommend that you sign up for membership as well. Taking a course and being a member at the same time is a great way to make rapid progress, as it allows you to practice your skills between sessions. Yes, you can book a class for someone else. Please just send us an email when you make your booking, letting us know the name that the booking was made under, and the name of the person that the place is for. We also need to have their contact details so we can include them in any correspondence about the course. If it’s a gift and you haven’t given it yet, please let us know in the email at what point it will be okay for us to contact them without giving the game away. We don’t currently have gift vouchers as there is such a high demand for courses - printing gift vouchers would make it difficult to assign the limited places on our courses in a fair way. If I miss a class can I come in another day? Unfortunately, you cannot make up classes that you miss on another day. This is because all of our courses tend to be full and it is too tricky to balance people moving around. If you miss one or two sessions on a course you should be able to catch up the following week. We recommend that you only take a course if you can commit to doing all but one or two of the dates. It’s particularly important that you attend the first three sessions so you can get started with techniques. Our courses are non-refundable. Please make certain that you can attend the course before you sign up. I’m a full-time professional, can you accommodate me? Turning Earth isn’t set up to accommodate full-time artists. You need to be able to work within the time constraints (up to 15 hours a week) and the space constraints (up to 30L glaze firing per month). This is to make sure that we are able to process everyone’s work fairly. Please see the In Production website for our professional studio space in E10. I have a commission due in a couple of weeks. What are my options? We recommend that you leave at least 6 weeks between accepting a commission and its delivery date. This is to ensure you have a couple of weeks to make the piece and dry it, and to accommodate up to 2 weeks for each firing. It is not likely to take this long, but as things can go wrong, it’s best all round not to over commit. Likewise, we recommend you budgeting a 25% ‘failure rate’ into your making. This way, if something goes wrong you will have plenty of pieces left. If you have a commission with a tight deadline you might want to contact Jo Davies kiln firing service just up the road from us. How do I buy work by Turning Earth artists? Turning Earth artists work is available to view in our gallery. The gallery contains contact details for each artist. If you get in contact, please let them know how you found them. We also hold a quarterly studio sale, where around 50 Turning Earth artists exhibit their work. See events to find out when the next sale will be held. What is the role of Studio Technicians? Our Studio Technicians do the bread and butter work that keeps the studio going. From packing and unloading kilns, to reclaiming and pugging clay, to mixing and developing glaze recipes. Technicians each have different expertise, and all undergo detailed Turning Earth training to enable the studio to operate with consistency. The Technicians have a lot to do in a short amount of time. They work hard. If you would like to make one a cup of tea, it will probably be appreciated. So do ask. Can I hire a kiln? If you have a commission with a tight deadline you might want to contact Jo Davies kiln firing service just up the road from us. When did Turning Earth open? Turning Earth opened in December 2013. It was the first studio of this kind in London, and is closely based on similar community studios in the US. How do I contact Turning Earth? You can contact us through various means listed on the 'Contact' page. Our office hours are Tuesday to Friday from 10am until 6pm. I have a comment or a complaint. Who should I talk to? If you have a complaint or a comment, please contact our studio manager Lewis at info@turningearthceramics.co.uk. We want to know what is and isn’t working for you. It’s how we make things better. What social events can I participate in as a member? Our quarterly studio sale is a highly sociable event, and it’s worth attending even if you are not selling anything. We have live music and food onsite, and it’s a great day. We also have an annual member party, either in the Summer or for Christmas. If you sign up to our Turning Earth Members Facebook page you can stay up to date with all the other members’ events in the studio. For health and safety reasons, only members who have received a full health and safety induction, or guests working under their instruction, or class participants working with a teacher are able to use the studio. Do you sell clay to people who aren’t members? Our clay is sold at discounted prices to our members only. If you are a non-member we unfortunately cannot sell you clay. We recommend that you use Ceramatech based in Tottenham, which delivers across London. Where does Turning Earth clay come from? 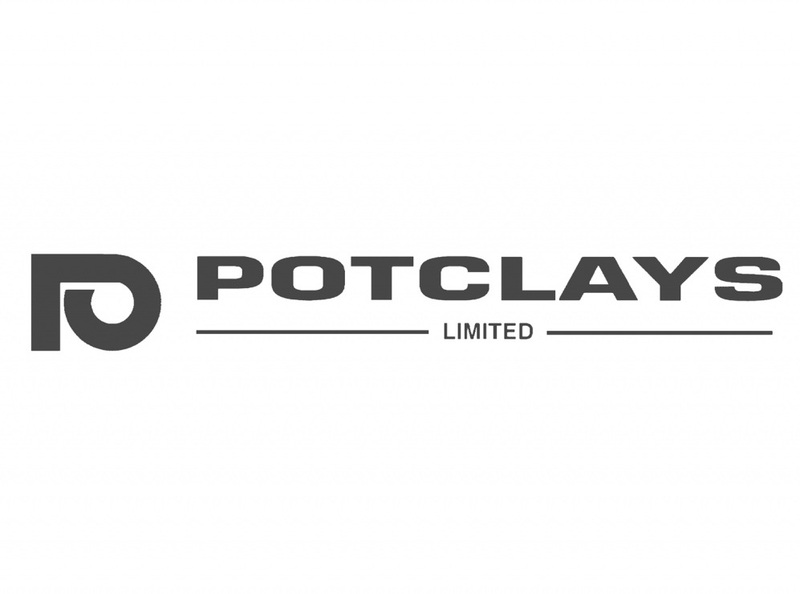 We buy all of our clay through Potclays, based in Stoke-on-Trent. I want to buy clay in London. Can you recommend a supplier? We recommend Ceramatech based in Tottenham, which delivers across London. Are there other open-access studios like this in London? There are similar studios opening up in the city. As well as our second location in Lee Valley E10, there is also The Kiln Rooms in Peckham, which is smaller in scale and offers a tailored service for aspiring professionals (they are currently at capacity, but it might be worth getting onto their waiting list if you live in that area). Are you a business or a charity? We are a social enterprise structured as a for profit company. We have a social remit - to expand affordable access to ceramics in London and this informs everything we do. Does Turning Earth take a percentage at the sales? Turning Earth takes a percentage from participants to cover the cost of our quarterly sales. This is not a profit making event for the studio, though, so only the costs of marketing and producing the sale are passed onto participants (these are all recorded and shared). The cost per participant can be anything between 7% and 20% of takings, depending on how many pots get sold overall. The trend has been that as our sales get more well known and we sell more work, that the cost per person has gone down. My piece hasn’t worked/has broken. What can I do? It is relatively common to lose a piece during firing or because of glaze errors. This can be down to a number of factors. Some that the potter can control, such as how well compressed the clay was, to if there were air bubbles in it, or if the glaze thickness was right. At other times there can be an unavoidable technical issue, that might happen in any studio - for example if a kiln relay fuses (which is an unpredictable occurrence) and the temperature went too high. We do what we can to manage all the predictable, manageable studio processes to prevent damage to your work. We would recommend that anyone practicing ceramics allows a 25% failure rate to cover the unpredictable nature of the craft. Sometimes you might do better than this, and sometimes worse. There is always something to learn from it. Where a member has been negligent in their making of their work (for example in leaving air bubbles in the clay and creating an explosion in the kiln, or applying glaze too thickly so that it drips) and it has damaged our equipment, Turning Earth charges a breakage fee to help cover the cost of replacing damaged parts. Similarly, on the rare occasion that Turning Earth has been negligent in our handling or firing of a piece we will give you a small refund. (This is discretionary and does not cover breakages when handling particularly delicate pieces - these should be discussed with the manager and loaded in the kiln directly by the maker - we cannot take responsibility for the safety of very delicate work in a community studio. Similarly, if a kiln malfunction was outside our control we cannot take responsibility for it).